I am back from a trip to my in laws place in Lucknow and the hard water there kind of made my hair rigid and frizzy. I give a lot of importance to my skin but neglect hair a lot and post pregnancy Iam having some hair fall too so I finally decided to indulge in oilopedia (whatever that means ) to bring in some shine to my hair. 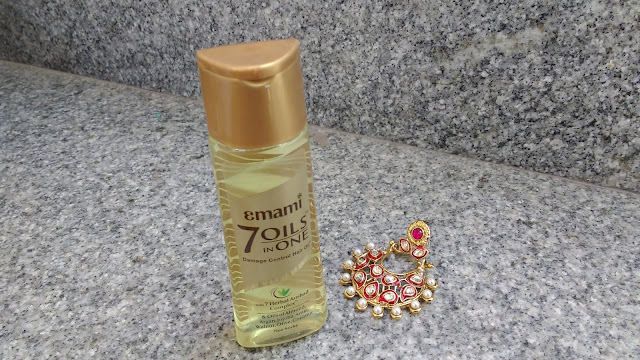 Emami 7 Oils in One Damage Control Hair Oil is packaged in a transparent plastic bottle with a golden flip cap. The cap shuts tight and the hair oil is travel friendly because of its sleek and lightweight packaging. 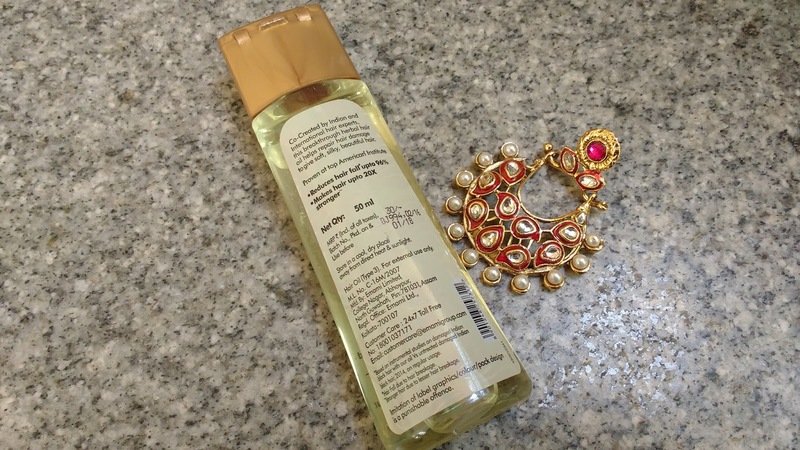 Emami Damage Control Hair Oil is transperent with a light golden sheen and the consistency is runny and non sticky. There is a nice pleasant fragrance which lingers but the smell could be a turn off to sensitive noses as it is a wee bit strong but I like the smell and have no complaints with it. 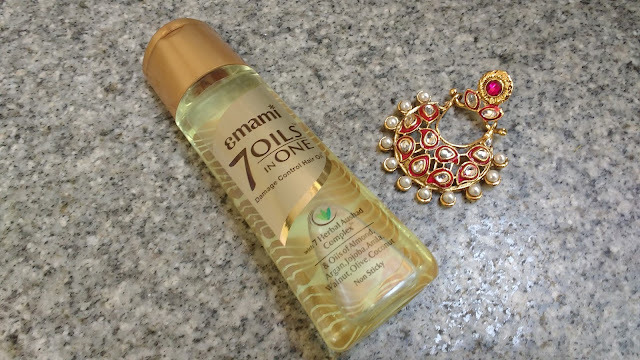 This hair oil from Emami claims to have 7 oils to repair damaged hair but I feel it is just mineral oil with some drops of carrier oils mixed in it. I have used this oil for two weeks and I actually used it almost every night because it is so light and non sticky. This oil also gets washed easily and doesnt require to be shampooed twice to get rid of the greasy feeling on hair and post wash my hair are more manageable and silky so this product is definitely working but repairing damaged hair is a pretty tall claim. I suggest you use this hair oil for the ends and not on the scalp to tame frizz and give hair a healthy shine. For the scalp however do indulge in an essential oil (coconut or olive oil) massage once a week . Emami 7 Oils in One Damage Control Hair Oil is a nice affordable hair oil to tame frizz and lightly condition hair. if you are okay with using mineral oil on hair then do give this one a try but ofcourse dnt expect miracles like hairfall control from it.